We spend a considerable amount of space on this blog writing about historic clothing, but every now and again it is important to remember that this clothing was part of a larger setting. 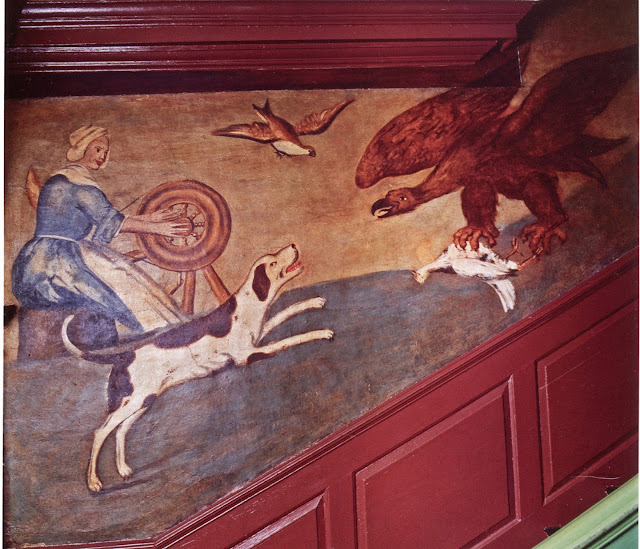 One of my jobs is to manage the Warner House in Portsmouth, NH. Constructed of brick between 1716-18, it is an English Baroque townhouse of London derivation. 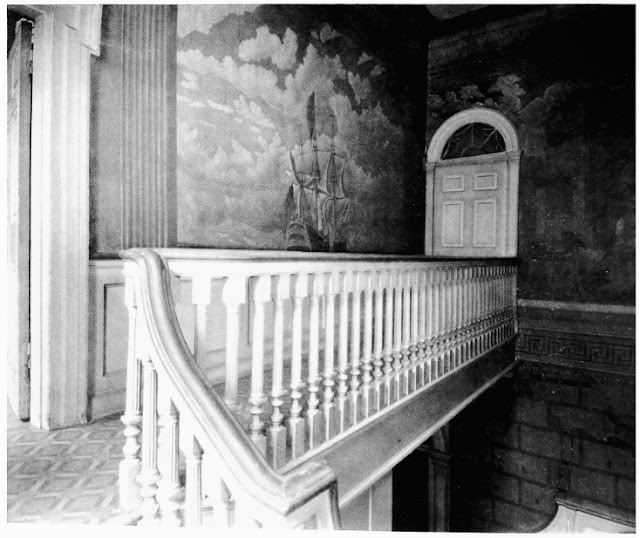 The design of the house spans the period in American architectural design when social entertainment occurred on two floors, not just the ground floor. 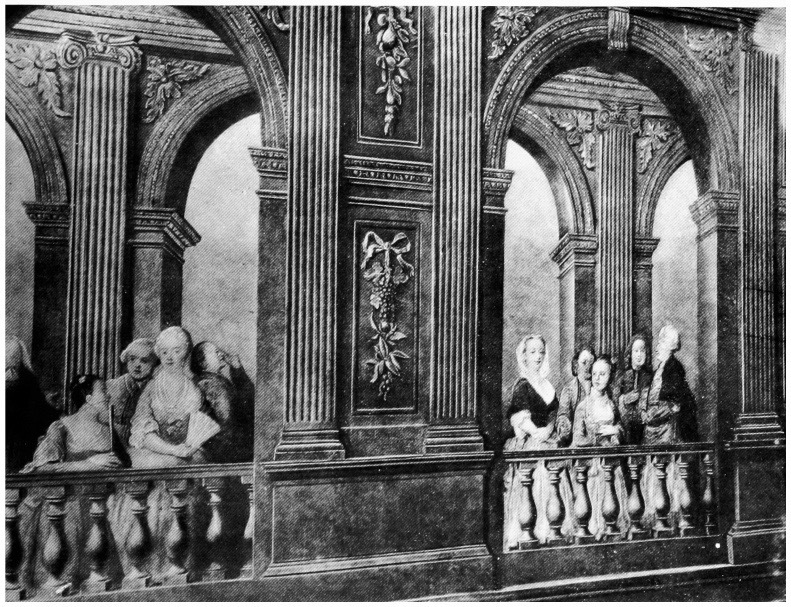 After the mid-eighteenth century most American social entertaining occurs on the first or ground floor. 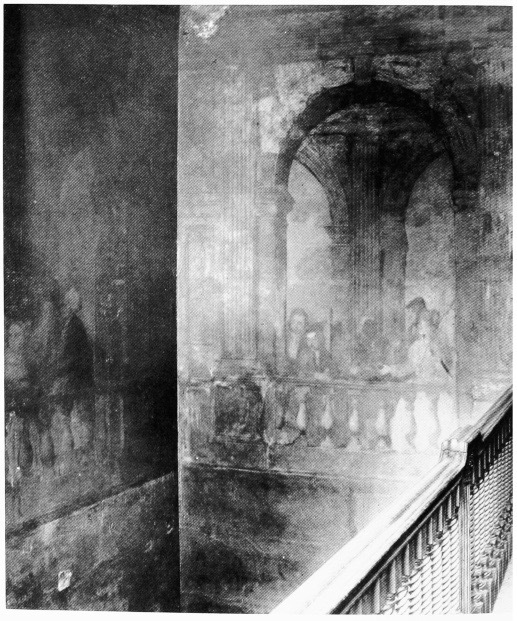 Because of this tiered use, in the Warner House, the entrance and staircase act as a processional way to the second floor or piano nobile. 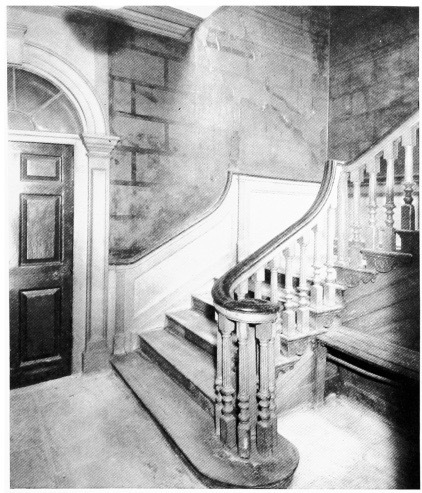 Constructed with low risers of approximately 5.5 inches and approximately 12-inch wide steps, the staircase slows the visitor’s ascent. By retarding the ascent several things occur; a straighter posture can be maintained; ascending and descending can be accomplished at a ¾ turn, which is more flattering to the profile and the presentation of clothing; this ¾ turn allows for direct conversation, rather than talking to a fellow-conversant’s back; and for the Warner House visitor an additional reward of this paced ascent is that it provides a space to view the artistic taste of the owners. 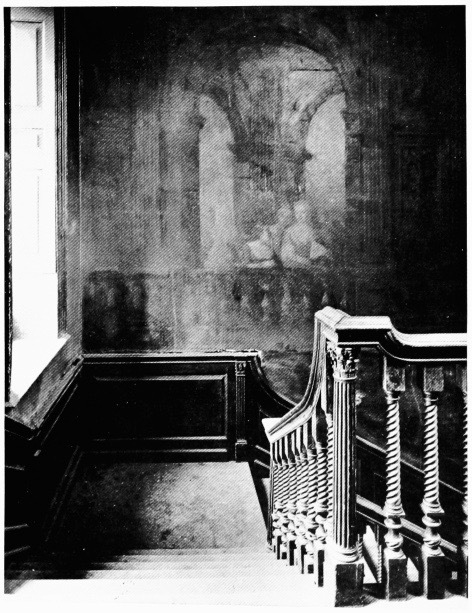 Painted in oil on plaster between 1718 and 1722 a series of murals fill the walls of the staircase. Although they are cruder in design than their contemporary British counterparts, none-the-less they provide a dramatic art-filled ascent unlike any remaining house from this period in the British-American colonies. 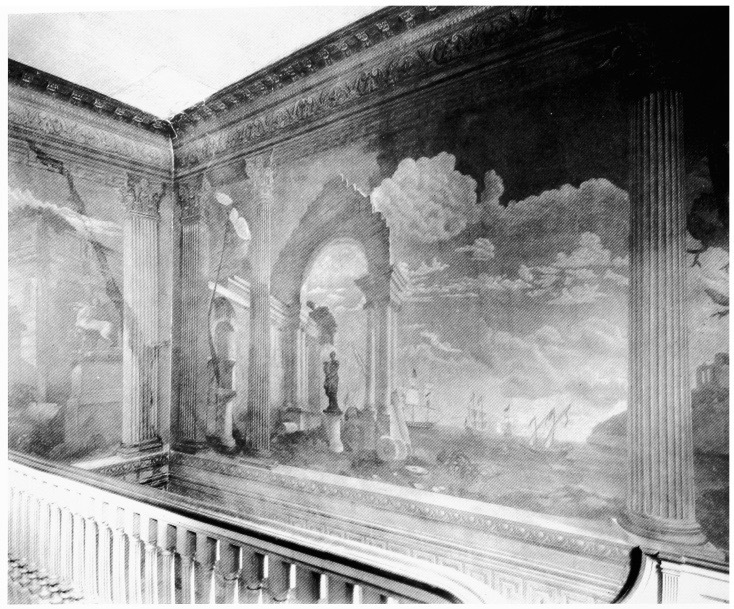 The Dean Street images are from London houses of the 1730s, but help to illustrate the use of mural painting in British Atlantic world and the differences between the two worlds. 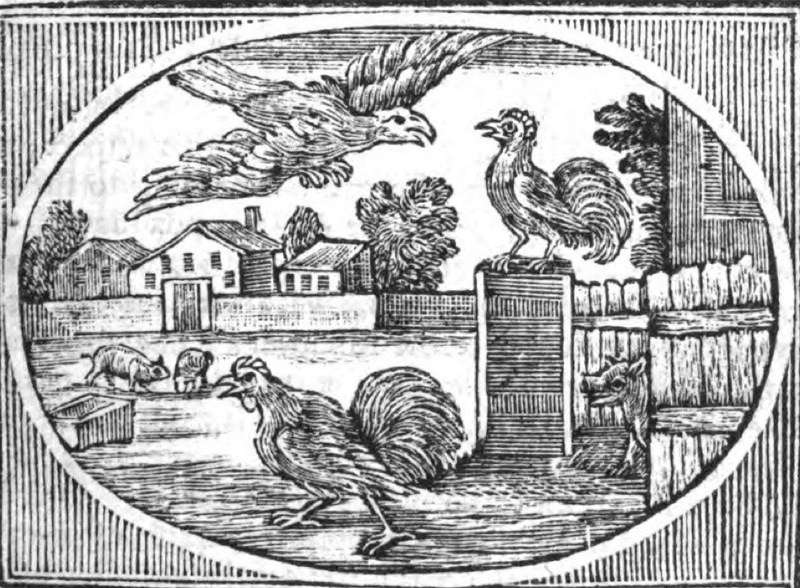 The Dean Street illustrations are all from British History Online. 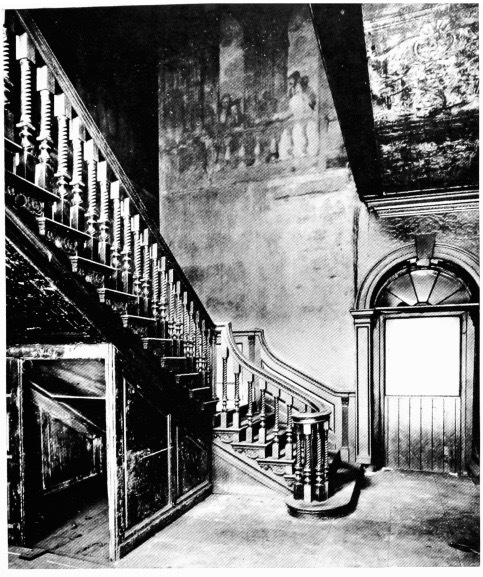 The article that follows is from the Summer 2015 Warner House newsletter and is part of an attempt to explain the paintings in terms of visual lessons that might have formed part of the moral, textual, political, and artistic understanding of an eighteenth-century visitor as they ascended the stairs for a summer evening’s entertainment at Archibald, a newly appointed member of the King’s Council for the colony, and Sarah, daughter of the Lieutenant Governor of the colony, Macpheadris’s new home in the 1720s.